That was pretty much all it took. The small town West Memphis investigators saw these hogtied, partially mutilated young bodies, and they instantly assumed it was the work of a satanist cult. Because Echols listened to bands like Metallica, and because he had been involved in some petty crimes, the police centered their investigation on him, and, eventually, his two friends Jessie Misskelley and Charles Baldwin. John Douglas, a former FBI agent who now profiles violent criminals for law enforcement says that, in reality, the eight-year-old victims were not killed by three unsophisticated teenagers, but rather by a single assailant who was almost certainly a grown man with a violent past. The actual killer would have had a violent past, and a very personal reason for killing these boys. In other words, this crime was not committed by a satanic cult of teenagers, but rather by a single disturbed man who knew these boys and had a personal reason for degrading them as well as killing them. 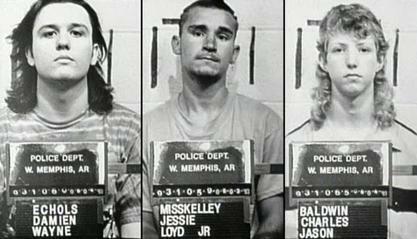 The West Memphis Three spent nearly twenty years in jail before three HBO documentaries over the course of 15 years produced a staggering amount of evidence indicating the trio’s innocence. 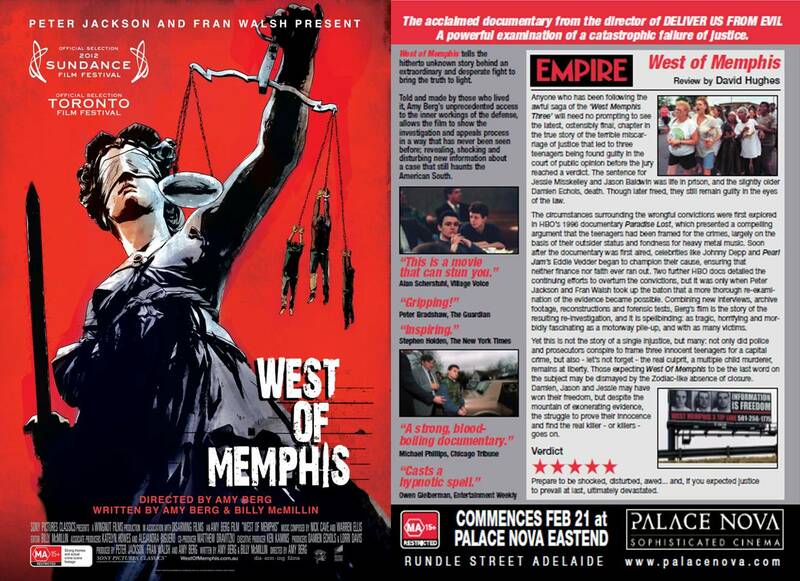 A new documentary called West of Memphis is separate from those other, previous documentaries, but it condenses the entire story into one film that acts as another huge data point in the growing mountain of cases that suggest our justice system is broken and desperately in need of reform. "It looks like Damien Echols finally killed someone."